Looking for music that brings hope and a good message? Zach Williams' first full-length album, Chain Breaker, comes from a place of humility and honesty as these songs are a direct reflection of God's redemption in Williams' life as he heals from a past life of addiction, darkness, and hopelessness. Says Williams, "Jesus came and died on the cross so there would be a way for the chains of those struggles and addictions to be broken. If you have pain, He's a pain taker, if you're lost, He is the way maker, and if you've got chains, He's the chain breaker. The first step is allowing Him to come in so He can set you free." Chain Breaker is a reminder of these truths about Jesus. 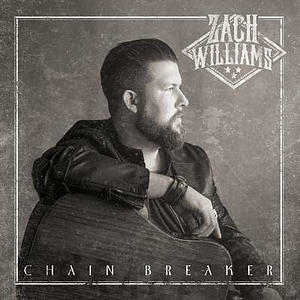 Chain Breaker CD by Zach Williams was published by Essential Records in February 2017 and is our 4591st best seller. The ISBN for Chain Breaker CD is 0083061105327. Be the first to review Chain Breaker CD! Got a question? No problem! Just click here to ask us about Chain Breaker CD.